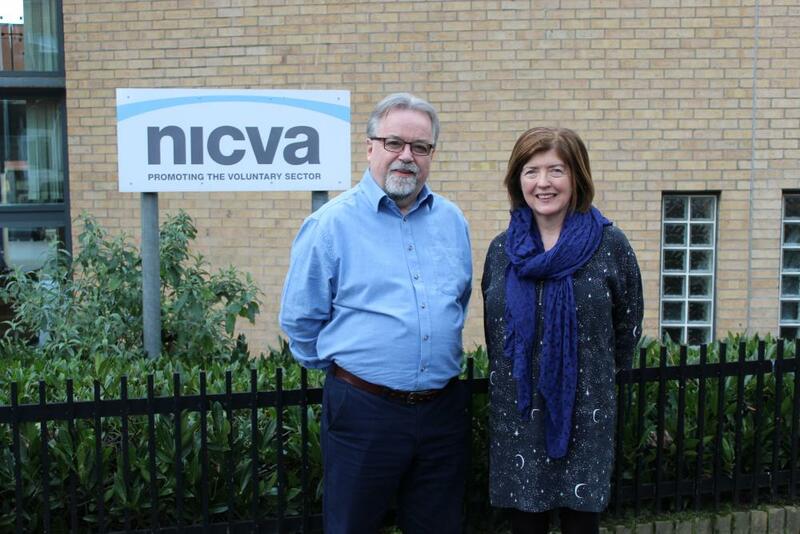 Eight months into her new role as Permanent Secretary at the Department of Finance, Sue Gray visited NICVA to hear from NICVA members and brief attendees on the Department’s preparations for the upcoming financial year. It had been hoped by this point the budget would have been agreed. However, Sue used the opportunity to update NICVA members on the budget process to date as well as to hear, directly from the voluntary and community sector, its thoughts and concerns ahead of the new financial year. Sue advised that once the budget was agreed, Julie Thompson, Budget Director at the Department of Finance, would be happy to give a fuller budget briefing. The budget process is ongoing. It will have to be agreed by the Secretary of State who will need to move the necessary legislation at Westminster. The fiscal position for 2019-20 will be tight and difficult choices are faced; difficulties not helped by a lack of an Executive and looming Brexit uncertainty. There will still be a reliance on switching capital expenditure to resource expenditure in 2019-20. It is unclear whether further money from the Conservative-DUP confidence and supply arrangement will be made available. There will be a Comprehensive Spending Review beyond the 2019-20 financial year. The Department are increasingly looking at sector-led innovation such as Participatory Budgeting as policy initiatives. Sue agreed with this and said it was important to collaborate with other Departments and that was why the Executive adopted ‘outcomes-based accountability’. She said government needed to think about how it worked across and within Departmental boundaries at all times. Sue said that Barnett Consequentials are normally unhypothecated. She advised it was too early to say where exactly money will be channelled but it was up to individual Permanent Secretaries where money was prioritised in their Departments. Sue replied she was aware of the ongoing issues around welfare reform and advised that the Department for Work and Pensions paused certain elements of the roll-out of Universal Credit and the implications for Northern Ireland remain to be seen. She advised that one of the outcomes in the draft Programme for Government, ‘We give our children and young people the best start in life’ commits the Civil Service as a whole to work to address. Sue advised Northern Ireland was on a ‘journey’ regarding this but stressed it would be a quick journey. She acknowledged there were great things going on around open data in other jurisdictions and Northern Ireland could not only take the best from others but go further and do it better. She added there would be information emerging from the Department around open data in the coming months and paid tribute to the local open data community. No deal Brexit planning and additional money for same. Sue replied that the Civil Service were doing a lot of planning for both a ‘No Deal’ and a ‘Deal’ Brexit but said it would be inappropriate to discuss in detail. Sue said funding for Brexit planning was coming from mixed sources; from the Treasury and from the redistribution of money within Departments. Difficulties around voluntary and community sector funding and administration. As one attendee put it, “We spend a lot of time justifying our existence… we need to focus on the work we actually do”.